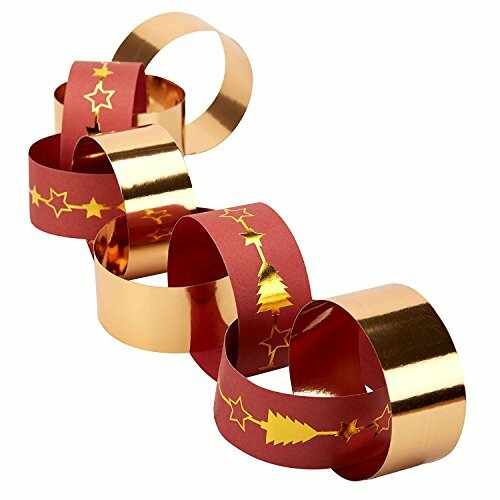 Dazzling Christmas party chain decoration is made using strips of high quality paper. There are 25 gold foil strips and 25 red strips that are decorated with gold foil Christmas trees and stars. Simply attach the chains in alternate designs to create an eye-catching decoration. Package contains 50 strips of paper. When loop together the chain measures 9 ft. If you have any questions about this product by Neviti, contact us by completing and submitting the form below. If you are looking for a specif part number, please include it with your message.